This week is the first of our series focusing on each of the five elements. The Chinese five element theory is an important part of the practice of feng shui, as it helps to describe to the cycles of nature and work toward balance in our lives. Feng shui is all about balancing the energy in our spaces, and using this five element philosophy, we can make necessary adjustments to achieve that balance. We'll go through the elements in order of their production cycle, beginning, this week, with Earth. How is the Earth element represented in your life? Do you have too much Earth? Not enough? Just enough? If your Earth element is unbalanced, aim to make a few feng shui adjustments in your space to bring that energy back into balance. For more ideas on how to do this, take a look at the My Favorite Things blog post around the Earth element. Once you've balanced out your Earth element, check back in a few weeks when we'll discuss the Metal element and my favorite ways to make adjustments there! 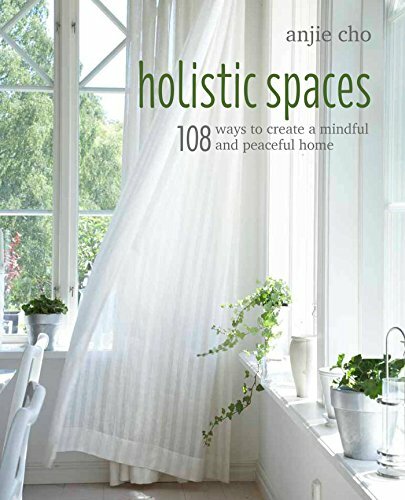 Be sure to visit the Holistic Spaces blog and sign up for the Holistic Spaces newsletter, where I provide feng shui and green design tips you won't find anywhere else PLUS a 10% off coupon to the Holistic Spaces store. If you have questions relating to feng shui, green design, the five elements and more, please feel free to reach out. You may even be featured as part of our Q&A Sunday series! Tune in April 11 for the next Holistic Spaces Podcast, Feng Shui and the Metal Element.